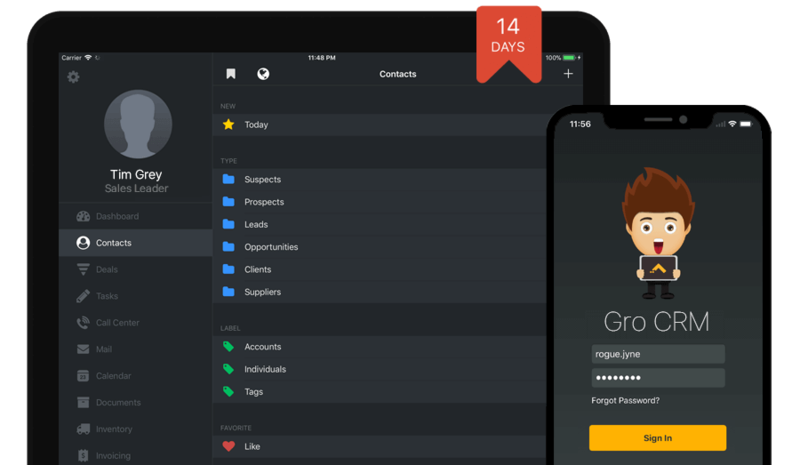 Sign up for a free 14-day trial of Gro CRM, the Mac CRM platform that is super easy to use and your team will love! Gro CRM was designed exclusively for Apple users and their devices. Join the club of productive teams using the Gro CRM platform to grow their small businesses.